With Thorpe Park, Chessington World Of Adventures and Alton Towers soon opening their doors to the public for the 2017 season. 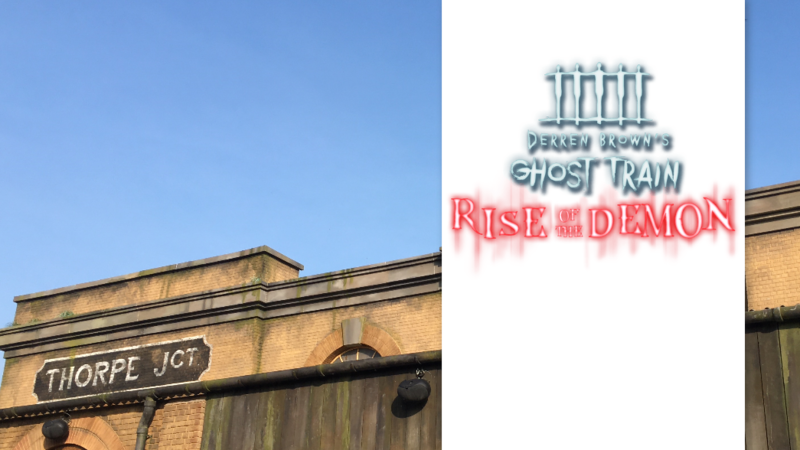 Thorpe Park Resort has started to reveal some information regarding Derron Browns Ghost Train Rise Of the Demon. Which is a refurbishment of the DBGT attraction that opened last year. The new information regarding the new refurbishment to the attraction has been provided to us by a recent blog post by Thorpe Park Resort on their website. Within the blog post, it reveals that the opening date for BDGT Rise Of The Demon will be announced on the 7th March 2017. The blog post also talks about how the refurbishment to the attraction will make it Deeper, Darker and More Intense. Due to the nature of this attraction, Thorpe Park Resort is trying to keep what happens on the ride a secret and the only way to find out what happens on the ride is to go and experience it yourself! Despite the attraction being kept a secret, we did get some information about how the ride would compare to the original attraction. The park says “Yep, we heard you. Derren Brown’s Ghost Train just wasn’t scary enough.” This is great to hear that the park is noticing it’s mistakes and errors and acting on them. “We’ve taken a look at where the fear can be dialled up a notch for Rise of the Demon and, well, let’s just say we think your thirst for fear will be quite satisfied!”. One of the biggest complaints about the original DBGT, was how unreliable the attraction was with the HTC Vive virtual reality headsets sometimes having no audio or any visuals playing. Because of these issues, Thorpe Park Resort are now pioneering some of the ride technology on site at the resort. This means the ride should be more reliability and have a lot fewer ride breakdowns. DBGT Rise Of The Demon opening date will be announced on the 7th March 2017. Attraction should be more intense and scary. Thorpe Park Resort are now pioneering some of the ride technology on site at the resort. This means the ride should be more reliability and have a lot fewer ride breakdowns. Previous: Previous post: New Peppa Pig Attractions for Paultons Park in 2018!